In addition, ILDA announced Tobias Zeides as winner of the first New Talent search contest. 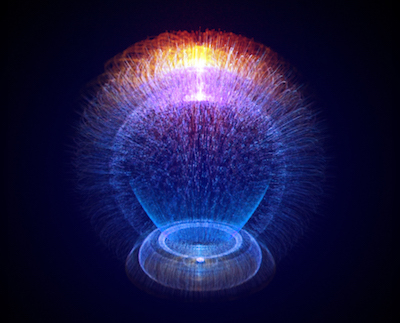 This is not an ILDA Award, but does provide a trophy to the person creating the best laser show entered in the contest, which is open to non-ILDA members. 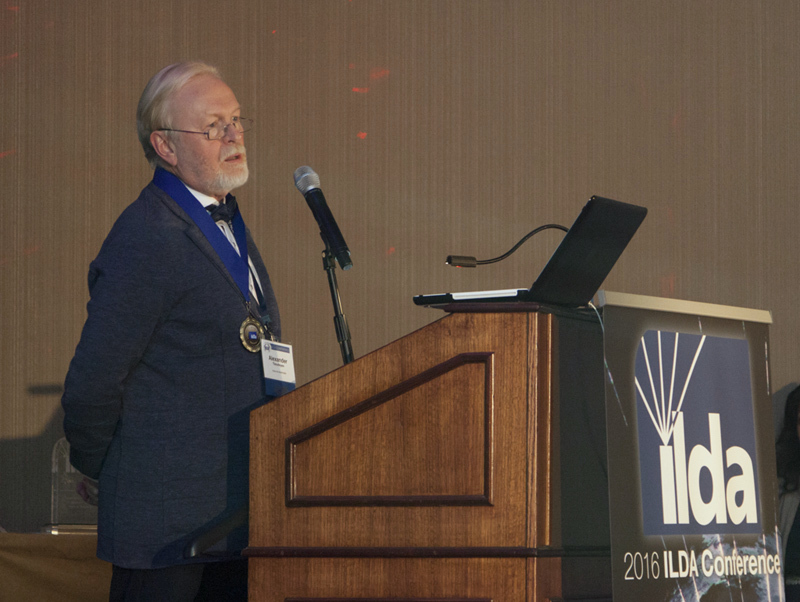 For more details on the winners, download the 2016 ILDA Awards booklet (PDF format). The booklet lists all winners and includes a photo from each winning artwork, plus credits and a description of the work. Videos of each of the winners (1st, 2nd and 3rd) are available on YouTube. Links are below, in the list of winners. You can also go to the ILDA YouTube channel playlist and click on the “2016 Award Winners” playlist. If you want to get a quick overview of all of the winners, below is a video compilation of the 2016 Award winners. This 23-minute video contains short excerpts from each Award-winning entry. Note that one of the videos is silent; its audio track was removed due to copyright claims. All video winners can be seen on YouTube. For first place winners, click on the picture to play the YouTube video. For second and third place winners, click on the show name link to play the YouTube video in a new window. 2nd: "Abstract Days”, Christopher Short. Note — the linked YouTube video might have its audio track removed due to copyright restrictions. 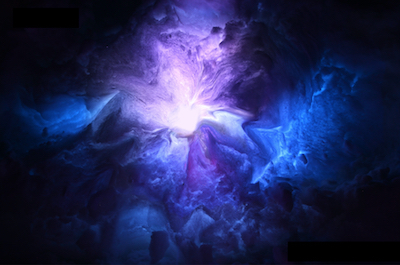 There were no entries judged in the Planetarium Show category in 2016. 2nd: “Skrillex EU Tour”, KVANT Ltd.
3rd: “ProLight and Sound 2015“, KVANT Ltd. Note — the linked YouTube video might have part or all of its audio track removed due to copyright restrictions. 3rd: “Opening City Arena - Trnava“, KVANT Ltd.
3rd: “New Interactive Laserman”, KVANT Ltd.
All three tech winners can be seen on YouTube. For the first place winner, click on the picture to play the YouTube video. For the second and third place winners, click on the entry name link to play the YouTube video in a new window. BEYOND 2.1 is a revolutionary laser show and multimedia control software, that helps users to easily combine laser, video, audio, lighting and more; for fully synchronized multimedia shows. The software is unique in many ways, as listed in the 2016 ILDA Awards Booklet (pages 55-56). FB4 is a customizable laser controller hardware solution from Pangolin, which is integrated directly into a laser projector. It features removable SD memory and a custom OLED display, offering control of projector parameters including geometric correction, color adjustment/correction, safety settings, startup settings and more. Lixel RGB is a patented high-power laser batten with individually controllable RGB sources designed to link end-to-end, or in two dimensions to create laser video walls. Lixel is controlled by DMX, video input, and many custom analog and digital interfaces. Above: Dr. Alexander Timofeyev accepts the Career Achievement Award. Photo by Mike Gould. Below is the speech given by Dr. Timofeyev at the ILDA Awards Banquet and Presentation, November 8 2016 in Baltimore, Maryland. It is a great honor for me to receive this award. I consider it not only as a recognition of my personal achievements in the laser show industry, but more so as a recognition of the professionalism of Russian companies and Russian designers. 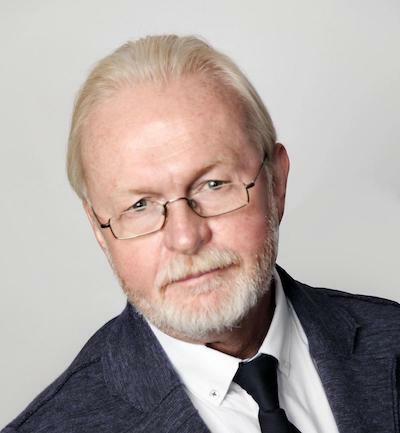 I began the membership in ILDA since 1998, as the founder and producer of Laser Show Systems Company. However, we did not submit our works to the ILDA Awards until 2004. To get to where we are today, we learned from our more experienced and renowned colleagues, and we searched for our own excellence in the art of laser graphics and animations. Once we found it, we raised a number of talented artists, designers, and creators of interesting works. With our company, Orion-Art, we received already 47 awards in the artistic categories, 28 of which are first or second place. To me, this is a recognition of the success of the Russian laser design school. In the end of the 1990s, it became clear to me in what direction it was necessary to improve the laser show industry in Russia. 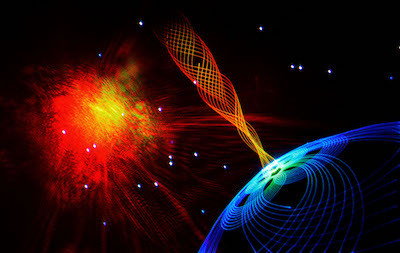 Consequently, this new stage of modern laser show we opened in Russia, according to latest technologies used worldwide. In subsequent years, we actively developed this direction, and nearly all new laser show companies in Russia followed in our steps using these new technologies. Since 2003 we were the first company in Russia that was engaged in production of multimedia shows using water equipment, video, and special effects. These works have also received many ILDA awards. An important step for us was the hosting of the ILDA Conference in Moscow in 2011, which was recognized as one of the most successful and interesting conferences in the history of ILDA. I would like to thank the members of ILDA, who made their choice in favor of me to receive this prestigious CA Award. A big thanks to my colleagues working in the company, Orion-Art Multimedia, as well as to my partners in Russia and other countries for their assistance and support in the implementation of many major projects. I would also like to thank my wife, Masha, for the love and encouragement that she has always given me. She supported me all the way in the world of the laser show industry. Once again, I am extremely grateful and honored to be the recipient of this prestigious award. Thank you. In 2016, ILDA received 240 artistic and technical entries from 44 different Member companies. • Most of the artistic entries were judged May 16-17 2016 in Newark, Delaware by a three-member panel that met for a long day and night of review and voting. • Photography entries were judged by ILDA Members voting online, May 29 - June 13 2016. • Fenning technical entries were judged via online discussion of a three-member panel that reached its decision June 14 2016. • The Career Achievement Award winner was chosen by ILDA Members voting online August 5-19 2016. • The ILDA New Talent search was judged online by an international panel of 10 judges that reached its decision September 28 2016. • Laser Jockey entries were viewed and judged by attendees at the Lase-Off during the ILDA Conference on November 7 2016. The 2016 Artistic judges rated each entry according to four factors: technical competency, artistic competency, quality and variety of effects, and music sync. These were used by the judges in making their final choice of winners. Members who entered the 2016 Awards were emailed their row numbers and entry names. They can match this with the row numbers in the anonymous Judges Rating Spreadsheet, so the Member will know how his or her entries did, relative to others in the same category. • The ILDA Award Entry Scores chart shows the judges’ scores for each entry. This data is also present in the spreadsheet, but is being shown graphically in a chart format. Judge 1’s scores are color-coded in blue, Judge 2’s scores in red, and Judge 3’s scores in green. Each tick mark at the bottom represents one entry. Entries are grouped by categories; a dotted vertical line separates each category. Within a category, entries are sorted left-to-right based on their total scores (average of all three judges). This chart shows how the scores varied within a category. The steeper the diagonal line within a category, the wider the range between the top and bottom scoring entries. The chart also shows whether judges’ scores for any one entry were fairly close — most were — or whether a judge might have a higher or lower score than the other two judges. 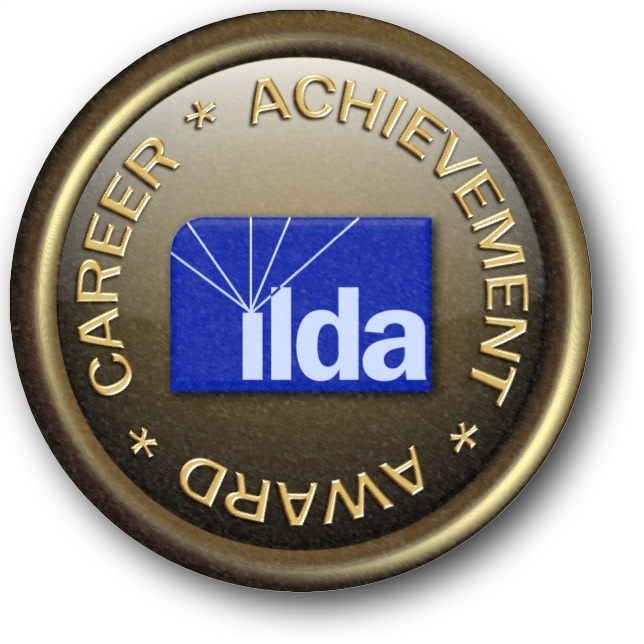 ILDA is looking for outstanding new talents in the laser entertainment industry by dedicating a special honor for exceptional creative achievement of new talents outside its membership. Every non-ILDA member is invited to enter a video of up to four minutes. An international jury then selects the winner. This is not an ILDA Award; it is a separate trophy. Tobias won for his entry I, Frankenstein. He receives recognition as the 2016 New Talent search winner, a one-year ILDA Membership, the New Talent star trophy, and free admission to the ILDA Awards Banquet to receive his trophy.